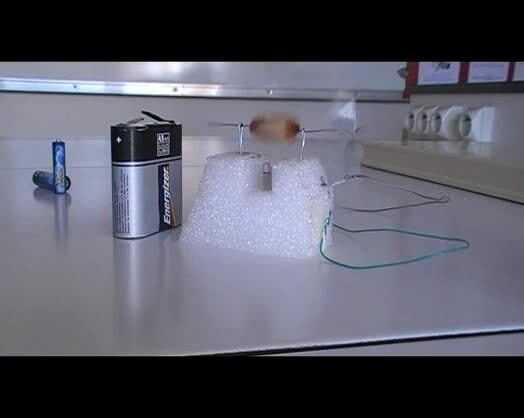 The project "Mini Motor" follows the following principle: A copper wire rotor circles over a magnet as a stator. 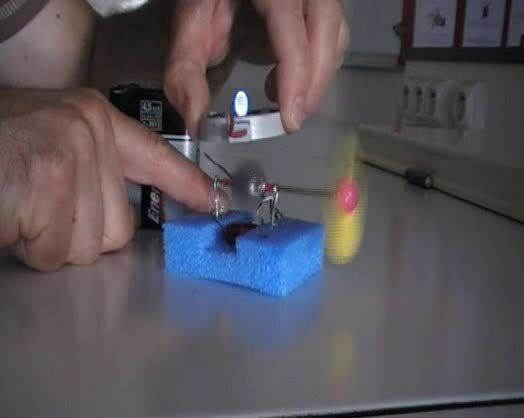 In this experiment it's the other way round: The magnet itself works as a rotor. 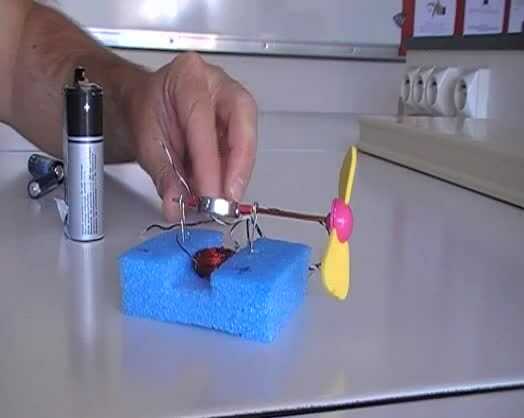 In this experiment a S-20-05-N disc magnet and a W-12-N cube magnet are used as a rotor. The following videos show the variations of this motor.